Not as simple as presented in the article. Shariah is the basis for family law in Pakistan and government policy is to obey local laws in adoptions, although it appears to be the case that the exceptions granted by Pakistani courts were not fully factored in. At the Pakistani orphanage where he was abandoned at birth, little Imran packed his things and said goodbye to the children who weren’t so lucky. At four years old, Imran believed he would finally have a family. That was two years ago. He never made it — all because of a controversial policy that’s kept hopeful Canadians separated from children they had created a space for in their hearts and their homes. But after a year-long investigation by The Fifth Estate, that may change. The federal government says it will review a decision going back to 2013 when Canada banned adoptions from Pakistan without warning. At the time, dozens of families’ lives were put on hold — many who had already been matched with a child. Sarah was one of those hopeful parents, ready to bring Imran home from the orphanage in northern Pakistan. But a world away in Toronto, she finds herself a mother without a son. The Fifth Estate has agreed to conceal Imran and Sarah’s identities because she feared going public might make it impossible for them to be together. Mother and child in the eyes of Pakistan, Sarah is too afraid to send Imran photos of herself, worried she’ll become just another person to let him down. The Fifth Estate has found Canada quietly extended the same restriction to virtually all Muslim countries. The reason: According to the federal government, adoptions aren’t permissible under Shariah law— even if parents had court orders from Islamic countries explicitly authorizing them. 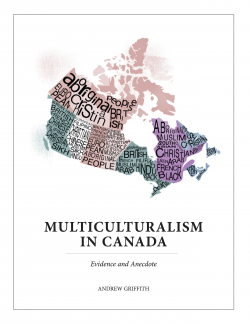 Documents obtained through access to information legislation reveal the extent to which Canadian officials were delving into the particulars of Shariah law and in the process, bringing adoptions from Muslim countries to a near-halt. And while the current government may have inherited the policy from its predecessor, families whose lives were brought to a standstill as a result of the Conservative-era decision are calling on the Liberal administration to explain why it has upheld a ban based on a murky set of religious principles they say the Canadian government has no business wading into. It was 2012 when Imran was left a newborn at the Ceena Health and Welfare Services centre in northern Pakistan. The non-profit organization provides health and education support as well as care for abandoned babies in the remote valleys of Gilgit-Baltistan — a place where pregnancy outside marriage is highly taboo and can come with extreme danger to mother and child. In this region, it isn’t unheard of for babies deemed illegitimate to be buried alive or left in dumpsters. Some years earlier, Sarah made up her mind that she wanted to adopt and began working to get the necessary approvals. In Canada, provinces and territories decide whether to allow an adoption after an in-depth application and interview process called a home study and extensive background checks. When the Ontario government sent Sarah a letter approving her to go ahead with the adoption process from Pakistan, her future looked bright. All that was left was to be matched with a child who needed a home. Adopting from Pakistan isn’t straightforward. Like Canada, the country’s laws are based on the British system. But they also draw from Islamic tradition, which generally holds that a child’s biological ties must never be severed. In Pakistan, one of few options for children in need is a guardianship, which can be compared to fostering. A guardianship is the legal form of what’s known in many Muslim countries as kafala: a child receives the care that comes with being part of a family but the guardians don’t replace biological parents. Pakistan has no official adoption law. But to provide a chance at a new life for the tens of thousands of orphaned or abandoned children there, the courts can grant permission to a guardian to take a child abroad for adoption — as they did for Imran. Each year, Pakistan’s courts allow dozens of children to be taken to countries such as the United States and the United Kingdom for adoption. It was the same for Canadian parents until 2013, when the federal government abruptly closed the door, leaving the lives of more than 50 families on hold. According to the federal government at the time, continuing with adoptions from Pakistan violated Canada’s commitment to the Hague Convention on international adoption. Under the convention, it argued, it could only process adoptions where a parent-child relationship was created in the child’s home country — something it argued was impossible under Shariah law. That’s a view not shared by the United States and United Kingdom, which are also Hague Convention members. Both countries allow citizens who have been approved for adoptions to bring their child home through a Pakistan court order. Back at home, the adoption process is finalized under domestic laws. Why the sudden change in Canadian policy? The answers aren’t immediately clear. Emails from 2013 show federal officials were rounding up support from the provinces and territories for the ban, with bureaucrats becoming increasingly preoccupied with the intricacies of Islamic law. “It is reasonable to assume that … a change in the child’s parentage is strictly prohibited under Shariah law,” reads one document dated June 2013 from federal officials to the provinces and territories. “In the Islamic view, the child does not become a true child of the ‘adoptive’ parents…. Kafala, then, neither terminates the birth parent-child relationship nor grants full parental rights to the person (guardian),” it goes on. For Canada to be in the business of interpreting Shariah law is baffling, said Sarah. Emails from federal officials in 2013 show the push for the ban appeared to the originate with Canada’s High Commission in Islamabad, which said the number of adoption cases was growing exponentially. In response to the push, federal officials hurried to put the policy in place, not wanting to tip off Canadian families or adoption agencies until they did so. And while at first some provinces seemed to resist the push coming from the High Commission, by July 2, parents were waking up to a notice posted on the government’s website telling them adoptions were no longer possible. Exceptions were supposed to be made for families far enough into the process. But while Sarah and several others began their adoptions well ahead of the ban, many found themselves facing roadblocks when the policy came into effect. Saskatoon-based immigration lawyer Haidah Amirzadeh, who has taken on numerous cases of Canadians separated from the children they’re the guardians of, wonders if the ban wasn’t simply part of a federal government attempt to limit immigration from Muslim countries. I would say it was politically motivated,” Amirzadeh said. Whether or not that was the case is difficult to say. The documents obtained by The Fifth Estate surrounding the adoption ban don’t necessarily tell the whole story. Multiple pages are redacted. The memo, addressed to the then-minister of foreign affairs, was sent just days before the moratorium went into place and raises the question of what national security could have had to do with banning adoptions from Pakistan. For Osgoode Hall law professor Faisal Bhabha, who researches the intersection of law and religion, the idea of the federal government concerning itself with religious doctrine isn’t new, but it is unnerving. He argues the Harper government in particular tended to invoke conservative beliefs in the context of national security — where he argues they used it to stereotype people. In the aftermath of the ban, heartbroken parents took to the media worried they’d never be united with their adopted children. At the time, the hope among some parents and advocates was that the policy might eventually be overturned. But until now, it appears the federal government has only defended the decision. As recently as 2017, Immigration Minister Ahmed Hussen’s office did exactly that. “The legal regime in Pakistan does not allow for or recognize the concept of adoption,” read a letter from Hussen’s office to one parent still fighting the ban. Guardianship orders, it continued, don’t allow children to be adopted in a guardian’s country of residence. There was no acknowledgement by the federal government that the Pakistani courts routinely grant explicit permission to parents living abroad to complete adoptions in their home countries. The Fifth Estate contacted Pakistan’s High Commission in Ottawa, which said Canada’s claim that Pakistan doesn’t allow for adoptions is simply false. While on paper the ban applies only to Pakistan, it appears Canadian officials extended the same reasoning to adoptions from almost any Muslim country. In 2015, CBC News obtained hundreds of pages of documents about the decision, uncovering that Canada hadn’t ruled out broadening it. In 2017, a spokesperson for Immigration, Refugees and Citizenship Canada confirmed Pakistan wasn’t alone. “Under federal law, the same rules would apply to a kafala/guardianship order from any foreign state,” wrote Nancy Caron. As it turns out, Canadian officials have been restricting adoptions from various Muslim countries on an ad hoc basis for at least a decade — saying those countries don’t allow adoption and citing Shariah law. Court documents show Canadian visa agents did just that in cases dating back to 2008 involving Iran, Sudan and Iraq. And as recently as 2017, four orphaned brothers were barred from coming to Canada from Yemen on the same grounds. Amirzadeh says she’s seen cases from Qatar, Afghanistan and Algeria blocked for the same reason. For Bhabha, Canada’s argument that adoption is prohibited in Shariah law amounts to outright discrimination. And while the ban originated with the previous government, Bhabha argues it’s up to the current one to explain why it has continued to implement it. The Fifth Estate made multiple requests for an interview with Hussen. He declined, instead sending a statement through his spokesperson. “We have asked the department to initiate a review of this policy and begin consultations with Pakistan as well as provincial and territorial governments to determine a path forward to regularize adoptions from Pakistan,” press secretary Mathieu Genest said in an email dated Oct. 5. How long that review might take and whether Canadians in the process of adopting when the ban went into place can expect action in the meantime, the email didn’t say. Genest also didn’t say whether Canadians blocked from adopting from other Muslim countries can expect any relief from this review.